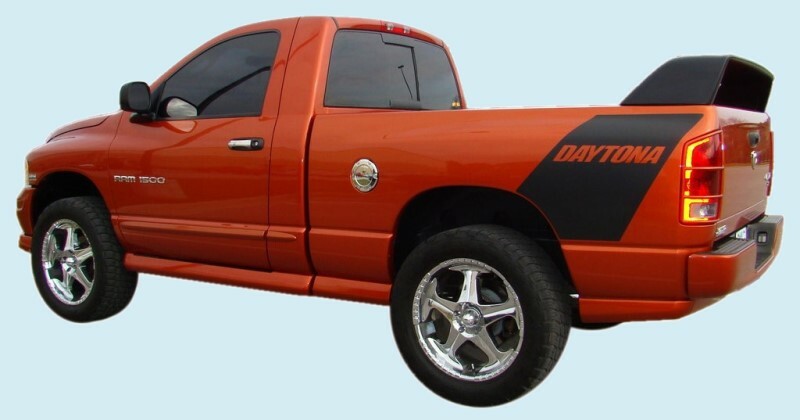 2005 Dodge Ram 1500 Daytona Truck stripe decal kit will enhance any Dodge Truck. This is a complete decal stripe kit and includes all pieces originally on your vehicle. Decals and stripes are made from high-quality 2ml Automotive Grade Cast Vinyl and you may add custom text.